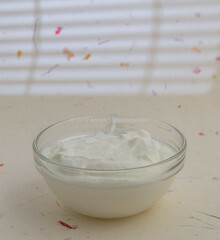 Glass bowl of plain yoghurt. Decorative background. Light effect.